Jumbo Reverse Mortgage Options – Are you considering or exploring a reverse mortgage loan? Do you have a higher end home valued at around $850,000’ish or higher? If so, then Jumbo Reverse Mortgage Loan VS HECM Reverse Mortgage Loans may be relevant to you. First, What Is A Reverse Mortgage Loan? Simply put, a Reverse Mortgage Loan is home loan for homeowners aged 62 and up. This type of loan allows you to access a portion of your equity and convert it to usable funds. The money can be used in any way you wish, but first your current loan (if applicable) needs to be paid off. What’s unique about a reverse mortgage loan is that there is no monthly payment required. Yes, there is no monthly payment for as long as you live (or live in your home). You retain ownership and title just like a regular loan. Hence, you’re still responsible for paying your property taxes and insurance. No payment is required for as long as you live or for as long as you live in your home. Can only be done on your primary residence. You retain title/ownership just like a traditional mortgage. A reverse mortgage borrower can still leave your home to your kids, grandkids, etc. You can take the money in a lump sum, line of credit, or get monthly payments sent to you for life. Borrowers can also get money sent to you for a set term of your choice. You must be 62 years old or older (for married couples, just one spouse needs to be aged 62 plus). You are allowed to make payment if you want to, you just don’t have to. This loan gives you total control. 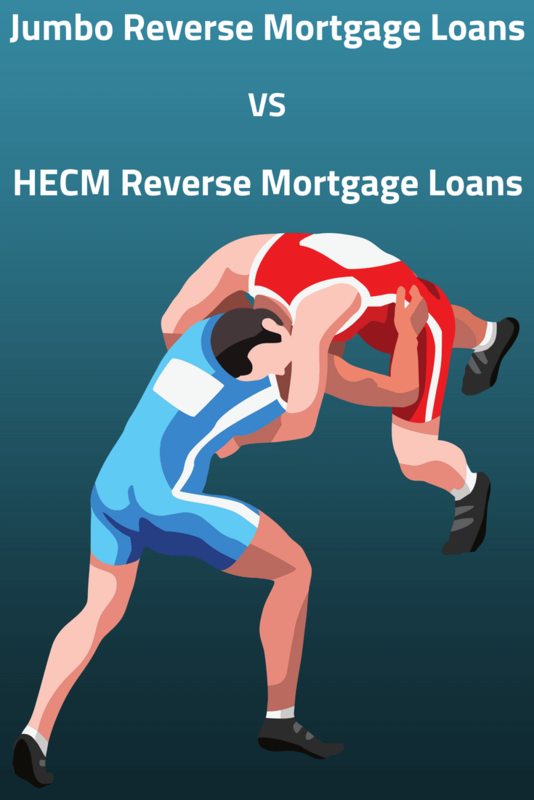 The HECM Reverse Mortgage Loan can have a fixed interest rate or a variable rate. The fees can be higher than a traditional loan. Hence, it’s not necessarily good for short term use if you have other means to get the money you need. 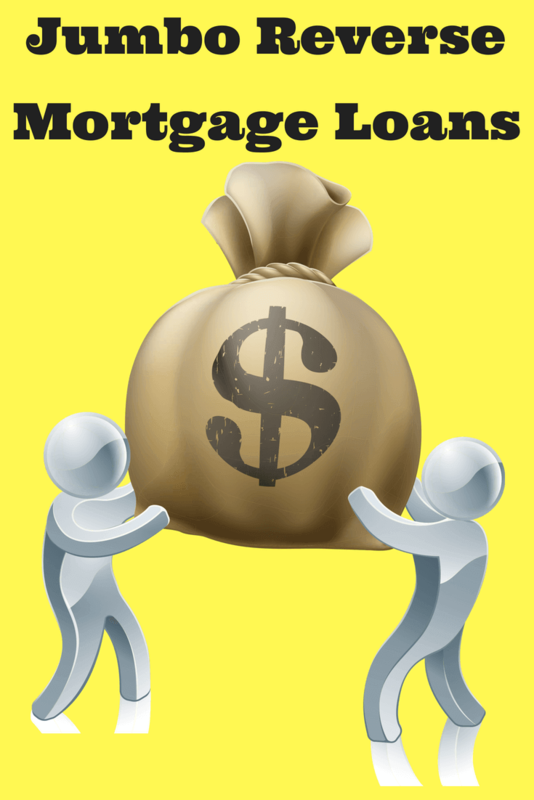 Homeowners with higher end homes may not get enough loan proceeds to pay off their existing loan if they use a HECM. How Much Can You Borrow With FHA Reverse Mortgage Loans? The percentage of your home’s value that you can borrow (technical term is Principal Limit Factor, AKA LTV) varies depending on your age. Also beginning in late 2017, it changes weekly based on the performance of the 10 year LIBOR SWAP rate. As of this week (05/14/2018) a 62 year old can borrow anywhere from 36% to 45% of the appraised value. The average lender would probably lend 41.7% of your home’s value. The percentage you can borrower slowly grows with each passing year and eventually caps out at age 97. So, the percentage you can borrower moves higher as you age. On the opposite end of the spectrum, a 97 year old can borrow 71.6% to 75% of the value of their home. Using the 97 year old as an example, they’d be able to borrow between $71,600 and $75,000.00. This example is based on a $100,000 home. For the same $100,000 home, a 62 year old could borrow roughly $36,000 – $45,000.00. Again, the amount you can borrow moves up slowly as you age. When Does The Jumbo Reverse Mortgage Loan Become Relevant (part 1)? When it comes to the FHA version of reverse mortgage loans, the homeowner can borrow a certain percentage of their home’s value. However, there is something called a “max claim amount”. In the simplest of terms, the max claim amount is the highest appraised value that is allowed to be used. At present, the max claim amount is set at $679,650.00. To make is easy, let’s say that a prospective reverse mortgage borrower can borrow 50% of their home’s value. In that case, if their home is worth $100,000.00, then they’d be able to borrow up to $50,000.00 (minus closing costs). If this same person’s home was worth $200,000.00, then they’d be able to borrow up to $100,000.00 (again, minus closing costs). This would apply until your home is worth $679,650.00. If this same person that could borrow 50% of their home’s value had a home that was worth $679,650.00, then they’d be able to borrow up to $339,825.00. When Does The Jumbo Reverse Mortgage Loan Become Relevant (part 2)? When the jumbo reverse mortgage loan becomes relevant is for an individual like mentioned above. Let’s say they are at an age where they’ll get 50% of the appraised value for a HECM, but their home is worth more than the max claim amount of $679,650.00. Today (remember, this changes weekly for the FHA reverse mortgage loan), a 75 year old gets about 50% of the appraised value. Hence, this 75 year old gets $339,825.00 if there home is worth $679,650.00 or more. It doesn’t matter if the home is worth the max claim amount of $679,650.00 OR if it’s worth $1,750,000.00. Now, let’s say this person that would get 50 percent of the appraised value or max claim amount (whichever is lower) on an FHA reverse mortgage had a home that WAS worth $1,750,000.00 like I mentioned above. Let’s also say they owe $400,000.00. If they owe $400,000.00, but can only get $339,825.00 then the FHA reverse mortgage is about $60,000.00 plus short in terms of getting enough to satisfy their current lien (the reverse mortgage DOES have to be the only lien/loan). If this person doesn’t want to bring their own money to the table at closing to payoff their current lender in full, then the jumbo reverse mortgage loan would be a great option. 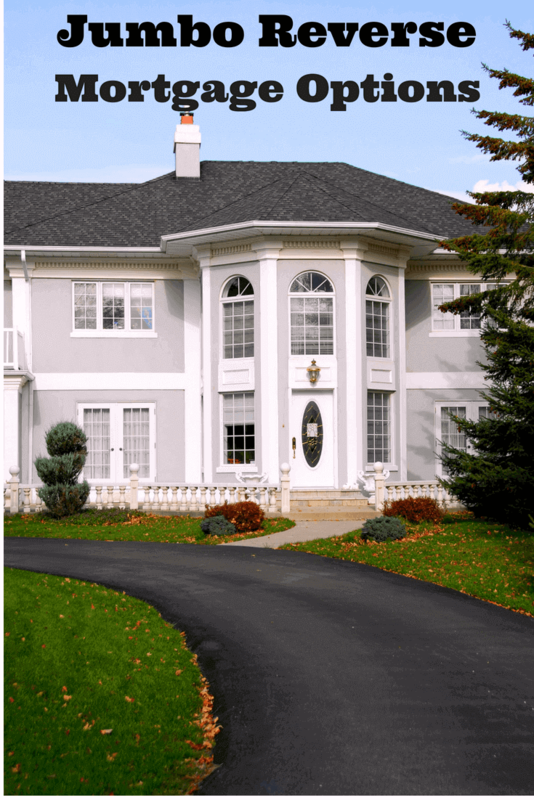 What Options Are There for Jumbo Reverse Mortgage Loans? In the illustration below, there are 4 options. 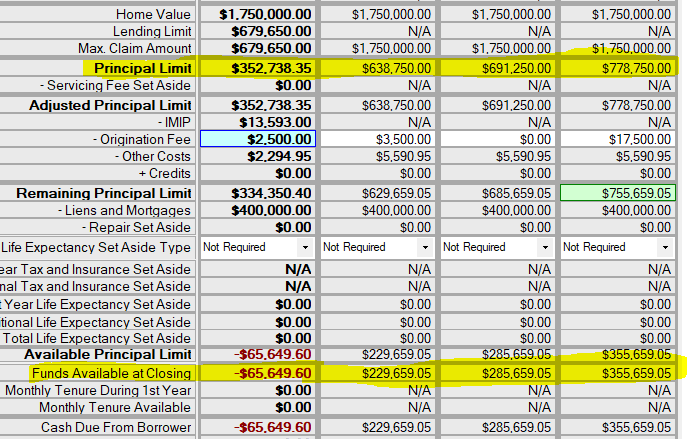 In the first column to the left, this is the FHA version that is $65,649 short in terms of getting enough to pay off this person’s $400,000.00 loan. The good news is, there are currently 3 more options (there’s likely to be several more options buy the summer of 2018). The first Jumbo option can be seen in the 2nd vertical column to the left. It’s called “HomeSafe Save”. They’d get a total loan amount of $638,750. It’d be enough to pay off their $400,000.00 loan AND put $229,659.05 in their pocket after closing costs. The second jumbo reverse mortgage loan option can be seen in the 3rd vertical column from the left. It’s called “HomeSafe Standard”. They’d get a total loan amount of $691,250. It’d be enough to pay off their $400,000.00 loan AND put $285,659.05 in their pocket after closing costs. The 3rd Jumbo Reverse Mortgage Loan Options is called “HomeSafe Plus”. With this option, they’d get a total loan amount of $778,750. It’d be enough to pay off their $400,000.00 loan AND put $355,659.05 in their pocket after closing costs. Keep in mind that these quick facts about the jumbo reverse mortgage loan is mainly in reference to the option called HomeSafe. As of May 25th, 2018 it’s really the only option available for jumbo reverse mortgage loans. However, in the summer of 2018 there will be a couple new options that come available (one of which has an age requirement of just 60 instead of 62). Naturally, we’ll write about it here at Reverse Mortgage Loan Advisors. www.ReverseMortgageLoanAdvisors.com Is not a lender, bank, or mortgage broker, nor is it affiliated with HUD or FHA. Reverse Mortgage Loan Advisors is a website designed to offer information about the FHA insured reverse mortgage program or any other reverse mortgage or mortgage program. However, the owner of the site is licensed as a reverse mortgage specialist in several states. Anyone that inquires and requests more information may be contacted by the owner of this site. If the owner of this site is not licensed to conduct business in the state you reside, one of our affiliates will contact you instead. ⟵Can You Get A Reverse Mortgage On A Single Wide Manufactured Home?